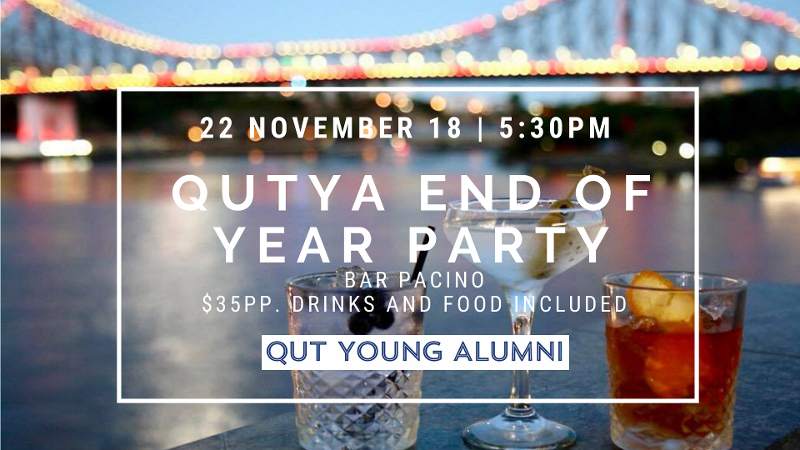 As the end of 2018 approaches, alumni and friends of QUT are invited to celebrate with a special end of year party at Bar Pacino on the river. Join the QUT Young Alumni Chapter committee for their final big function for the year. Bring your friends, make new connections, reconnect with fellow alumni and celebrate the end of another busy and successful year. Your ticket includes canapés and drinks (with a set bar tab). We will be at the front right balcony - look for the QUT Alumni banner! The committee can't wait to see you there.